I am a newlywed and a college student. My husband and I are eager to raise a family and I am excited about becoming a mom, but I am also very excited about working in the field that I am studying. Both sound like good ways to serve my neighbor. To be honest, I don’t want to put babies in day care, and I also don’t want to give up the work that I have put so much effort into preparing for. Do you have any advice for evaluating how I can serve God and neighbor through these (potentially conflicting) desires? I know that different couples make different choices here, and I am not asking whether I should be a stay-at-home mom, work part time, work full time, work when the kids are older, etc. What I am really asking for is big picture advice on how to evaluate my different desires and goals in life. 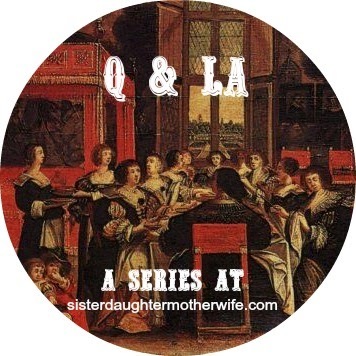 Are there questions that you asked yourself when you were in the early stages of life and marriage? Questions you wish you had asked yourself? Thanks! Those are important questions. I did ask myself similar questions as a newlywed. I married while still in college, and as I neared the end of my preparations to be an elementary education teacher, I asked myself if I thought I could fulfill my vocation as a wife and hopefully as a mom AND be a teacher. I wrestled with this and prayed about it as I prepared my resume and began to send out job applications. I came to the realization that I had been in survival mode regarding my duties at home, and that adding a child would naturally require more thought and work than I had been giving. I decided to stay home after my studies ended, and we had our first child about a year later. Since then, I have done a little tutoring and writing from home; I have also homeschooled our children. The big picture perspective that I take is this: If I am a wife and a mom, God has definitely given me these vocations. Before I add in other commitments, I have to make sure they don't compromise these primary vocations. Children are only young for a limited amount of time, and I only have one chance to raise them. I will have opportunities for a paid position when they are grown. My life will not be over when they are grown, but my chance to help my husband raise our children in the discipline and instruction of the Lord (Eph. 6:4) will be gone. Rearing our children in this manner serves our neighbors in our family, community, and world. Another big picture perspective is that if we as a family are too busy, it will be difficult for us to take time together for the things of God, such as Bible and catechism reading, prayer, hymn singing, and going to church. We need time to have meals together and do other things together so our children have opportunities to ask us tough questions, and confide in us about the inevitable struggles that all sinners have. You see this aspect of the parent-child relationship in Deuteronomy 6:7—"You shall teach them diligently to your children, and shall talk of them when you sit in your house, and when you walk by the way, and when you lie down, and when you rise. . . . " Teaching our children about theology is more than just taking them to catechism class when they are old enough---it is a way of life. However you and your husband decide it would be best for you to handle your desires and goals, remember to keep in mind that children grow up quickly (one of my four is already grown!). Guard your time with your husband and children! It matters for eternity. Congratulations on your recent marriage. Marriage is a gift from the Lord, and she who finds a husband finds a very good thing. As a married woman, you and your husband are one-flesh. Every decision you make, however great or small, affects not only yourself, but your spouse, and vice-versa. The decisions regarding how you can best serve your family should always be made together. Big picture questions you might ask: What am I passionate about? What is it about a career that excites me? How flexible will it be with family life? Is it something I can do for a while, set aside for a time, and pick up in later years? What financial concerns will arise as a result of educational debt? What amount of work is needed to pay back what is owed? Am I willing to sacrifice my personal goals for the overall health of my family? How can I direct my God-given gifts and talents toward my primary vocation as wife, and later, Lord-willing, as mother? What desires, and ensuing accomplishments, will have the most eternal value? As sisters, daughters, wives, and mothers, we are called by God to love and serve those placed directly in our care. Spend time in prayer and discussion with the man to whom you have pledged to honor and obey until death parts you. Communication is vital to a healthy marriage. Listen to his visions and desires for your family. Consider his concerns. Share your desires and concerns as well. If any of you lacks wisdom, let him ask God, who gives generously to all without reproach, and it shall be given him (James 1:5). It's sometimes difficult to picture what might be and what is to come when you are in school, newly married, or at the beginning of something new. Only God knows what opportunities, hardships, and decisions you will face in the years to come and that makes life a wild adventure at times! "What should be done when the obligations of our different vocations pull us in different directions? When the demands of parenthood, marriage, and workplace--as well as church and social obligations--conflict with each other, which vocation should have priority? The answer: Since all vocations involve loving and serving the neighbor, the most urgent 'calling' will be from the neighbor with the greatest need. This applies to all of our multiple vocations. Sometimes a woman's child may need her, to the point that her husband, her job, and her church have to be put on hold. Sometimes her husband needs her most, and it will be time to find a babysitter for the child and to put off a project at work. Sometimes, though, her job or the church may need her most, and her husband and children will need to be patient. It can also be helpful to remember that some vocations are temporary--like jobs, which may change or even end--while others, including the vocation of spouse, are permanent." They continue the discussion for much longer and include examples, so the book is well worth the read. Their answer did remind me of Leo Tolstoy's story "The Three Questions," in which a boy tries to determine who needs him the most and what the most important thing for him to do might be. The answer is that the most important person is the one with you at the moment and the most important thing at that time is to serve that person's (that neighbor's) needs. 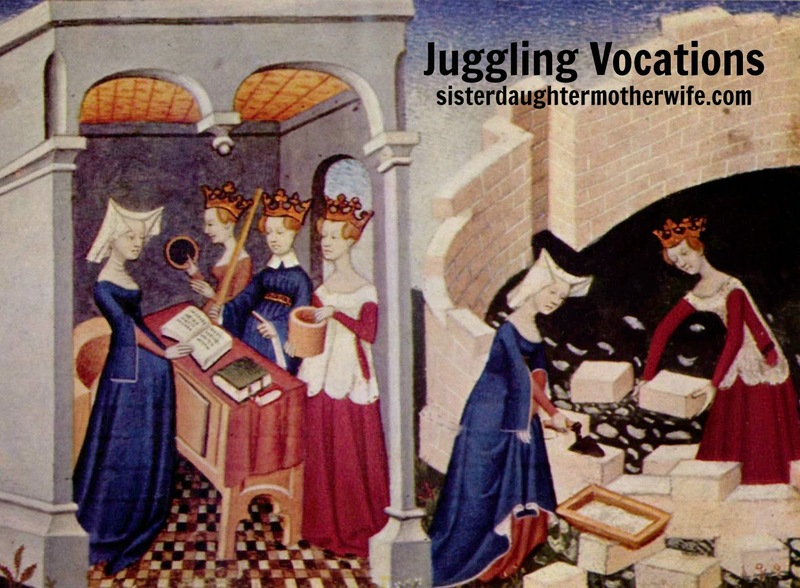 My only caveat would be to echo something the book Family Vocation mentions frequently which is that spouse and children are our closest neighbors, and our vocations as wife and mother include specific commands and direction from Scripture. Since I cannot say it any better than has already been written, I can only commend the book as a helpful guide in thinking over vocational questions. I appreciate all of the emphasis our Synod’s thinkers have been putting onto the distinctively Lutheran doctrine of vocation of late, but, sometimes, I just wonder...where is the clarity in our teaching about marriage and the family? Too often, I get the impression that the doctrine of vocation is pitted against the institution of marriage and family - as in the quote Allison excerpted, which, to me, is confusing, rather than enlightening. How do you objectively determine degrees of need? This seems, from my perspective, to lay an even bigger burden of guilt on mothers (as if they needed it). And yet, is one ever "ready" for kids? :-) (I'm not disagreeing with your friendly advice-- I would give it, too). I think that perhaps part of what causes so much confusion as we decide how to live as Christians (and how to conduct Christian family life) is that we have absorbed a little too much of the compartmentalization that is dear to modern culture. Modern culture would have us believe that a person can engage in various forms of intimacy without affecting our whole selves, or can see marriage as a thing isolated from children and the wider community, or can see children as separate from marriage, etc. The mindset is so pervasive that it's hard not to be influenced by it. Hmm. Your comments tend to make me want to write articles, Alison! Yes! Compartmentalization! You hit the nail on the head. Thanks! In a distinctively Lutheran doctrine of vocation, marriage and family cannot be pitted against vocation. Luther taught three orders of vocation: family (under which falls supporting that family, ie economics), church, and state. In the excerpt quoted above, the idea is you needn't feel bad if you get a babysitter so you can help with a funeral dinner. There are times you can help the church and those in the church. Likewise, if you stay home from a date with your husband because a child is sick, it isn't demeaning to your husband to show love to someone else who needs you too. And, if you work outside the home, an occasional late night at work for a project isn't adulterous. But keep perspective and in communication with those who need you. Work and tasks are not the focus of vocation, but neighbors, actual people with actual needs. Thanks for the explanation, Mary (and I’m sorry for my poor phrasing - pitted against - that, I think, probably comes off a bit stronger than I really mean). Still, I think Anna’s on to something with the compartmentalization thing. Here’s my problem with this aspect of vocation as it’s been outlined here, though: it sounds like simple situational/virtue ethics (a loaded term, I know, but situational ethics isn’t necessarily all bad; it has a time and place;), whereas I tend to operate on a day to day basis more from an absolutist/duty-based ethic (it’s quite possible I’m using these ethical terms incorrectly, in which case I’m sorry...it’s been almost a decade since I sat in moral philosophy class!). A difference in ethical systems, but probably also reflects some differences in how we view marriage and family, and the priority we give to different Scriptural injunctions. For example, I couldn’t help but notice that, in your division of the orders of vocation, you are careful to include “economics” practically in the same breath as “family.” Something about all of this (including your use of deflecting phrases like: needn’t feel bad, isn’t demeaning, isn’t adulterous) strikes as strangely defensive… I can’t exactly put my finger on it. I do have to say, though, I don’t find the division between works and people to be helpful (or very accurate, personally speaking). As a stay-at-home, nursing mother, most of my daily work (in addition to my physical person) has been/is devoted to a specific person, specific people. In my life as wife and mother, I hardly can see the two things (work and people) as separate anymore. Alison, it was defensive because I wrote the book and so carefully tried to avoid laying "an even bigger burden of guilt on mothers (as if they needed it)." 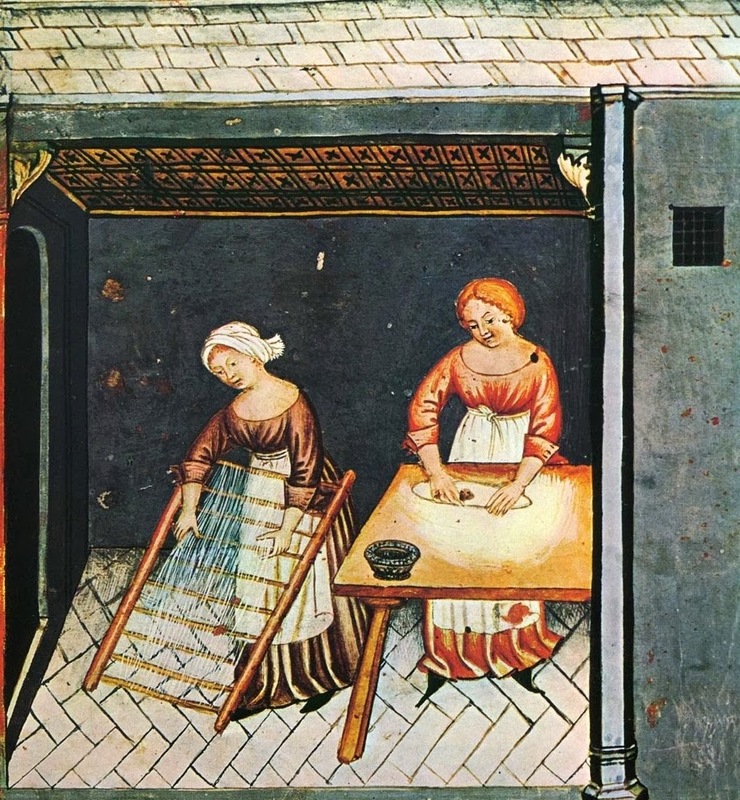 The original meaning for economics was "art of managing a household," so I thought it pertained to your point that too often people switch around what is important, emphasizing work over family when really work is to serve marriage and family. Some people live by checklists and that sad reality is something we were addressing in the section of the book quoted above. I'm thankful you are not one of them. I think stay-at-home mothers and wives are often gifted to see how our neighbors directly affect our attentions. Schoolwork may prepare you for a career. It may give you skills for a job. The people you serve in that job will be helped by your work. However, I think it helps to evaluate your different desires by considering WHO can do a certain job. Only you can be mother to your children. You can do a bang-up job at your paid-job. But other people can render that service too. Nobody else can take care of your children and teach them as you can. I think of the number of women who yearn to be mothers, and who have not been granted that blessing. They find joy in their service to their neighbors. People benefit from the work they do. But if they had the choice, would they prefer to set work aside for 20 years to be Mommy? Can that perspective help you in your decision-making now? my goals when I started college were about what *I* was interested in, what *I* enjoyed studying, what *I* was good at. Even though it sounds me-centered when I write it, it's not a bad thing. That is how people make use of their talents in a world that offers a gazillion options. But when a child comes along, the parent's interests and goals narrow to that specific neighbor who is plunked down (long-term) into their own house. Also, given the costs of college today, I think it's important to consider debt/loans now, and how it can affect your ability to provide for your children later, should God grant them to you. I've seen far too many moms feel constrained to use day-care for their infants because college loans had to be paid off. Think of that ahead of time and keep the debt manageable.